Another European destination that seems to be made for enthusiastic photographers. 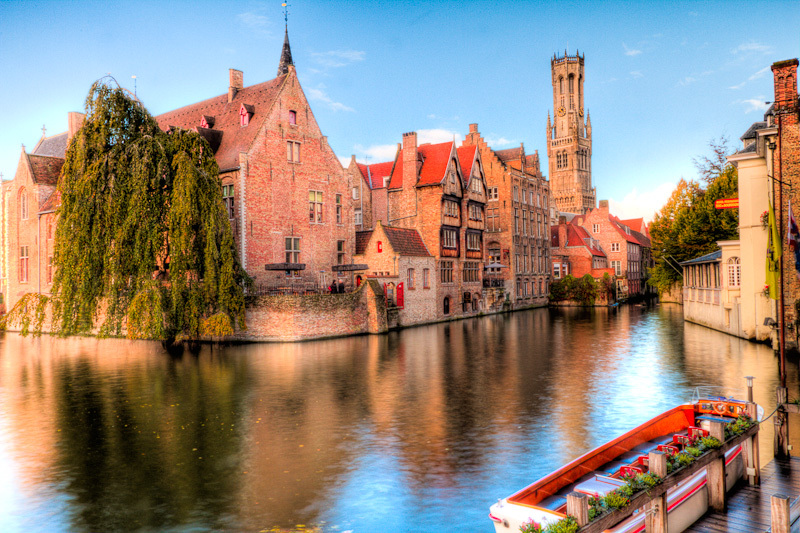 Brugge, in Belgium is one of the most picture perfect cities I’ve visited. Every street, building and square seems to have been constructed to be framed by the camera. We were in Brugge well after the end of the tourist season but still managed to get some fabulous weather. Skies were enhanced as the weather fluctuated from rain, to bright sunshine, leaving the large white fluffy rain-clouds hanging in a superbly bright blue sunshine filled sky. Even when it did rain, every street in Brugge is cobbled and the wet only made the cobbles and the streets shine even more. It’s also hard not to love a place that doesn’t just have chocolate shops on every corner, but has two or three on the street between each and every corner too!